Home » On The Road » the next AARoads destination? A photo I took last night of our nearest celestial neighbor. I finally got my telescope-to-Nikon mount set up, so I experimented away! the blue dot at the upper left is the star Spica, about 260 light years distant. Nice – what camera setting and lens were needed to get this shot? 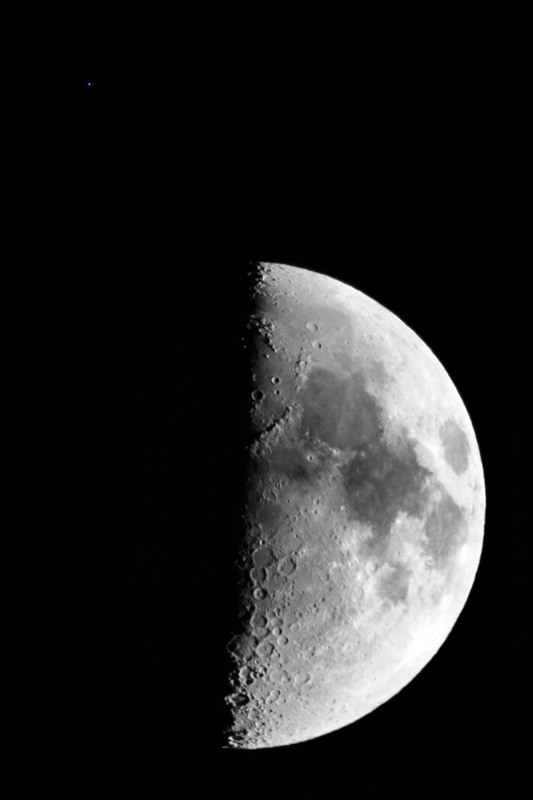 I attached a Nikon DSLR to a telescope using an adapter. the equivalent is 730mm at f/11 or so.